White custom designed shirt with zip front closure and vertical stripes of rhinestones on the front, back and the sleeves of the shirt as well as on the collar and cuffs. 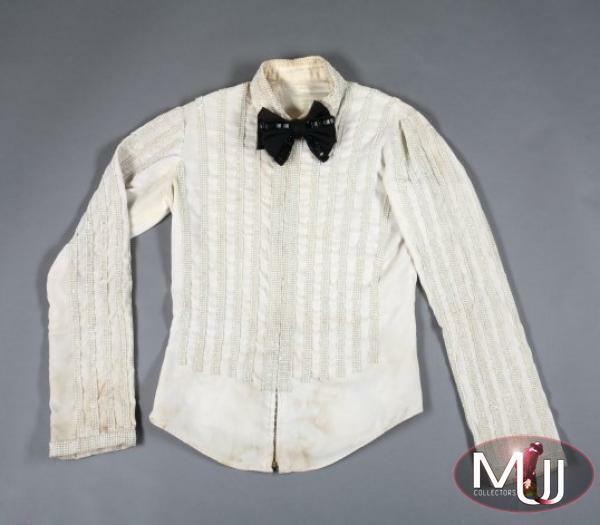 The shirt features a black bow tie with black bugle beads. 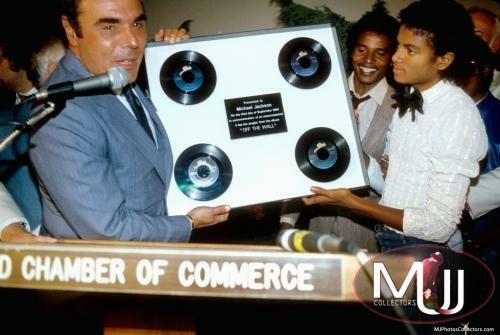 Michael wore this shirt for instance at the 1981 Academy Awards or the 1980 award presentation at the Hollywood Chamber of Commerce.